For more than 80 years, La-Z-Boy Furniture Galleries has been known for manufacturing some of the world’s most comfortable home furniture with over 3,000 retailers throughout North America. La-Z-Boy Furniture Galleries established themselves as a leader in the furniture manufacturing industry through traditional advertising and garnering a reputation for quality and comfort. With shoppers increasingly looking toward technology before, during, and after buying a product, Alabama Media Group was tasked with the goal of transitioning La-Z-Boy Furniture Galleries into the digital era with four key objectives. Find out how Alabama Media Group extended audience reach and helped to successfully guide La-Z-Boy Furniture Galleries into the digital world. 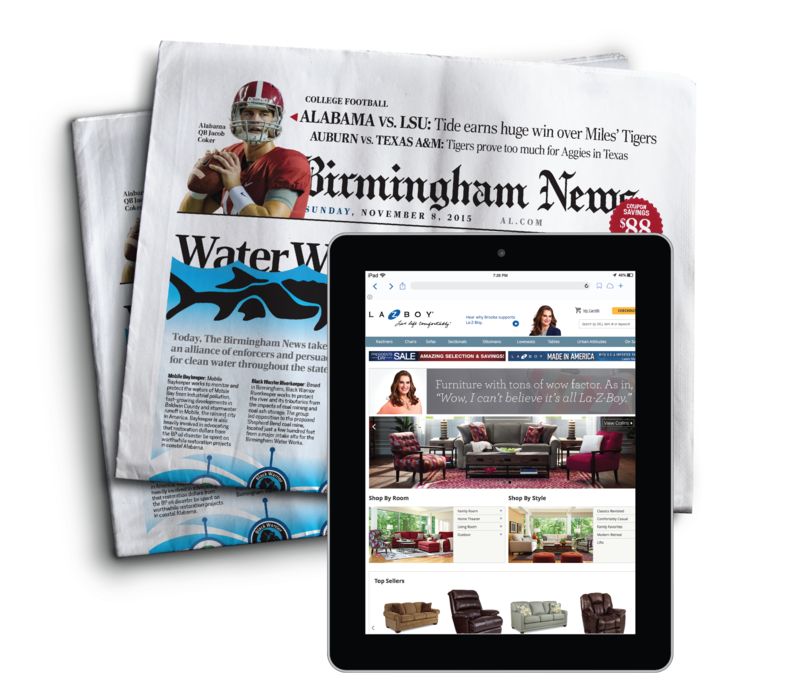 Alabama Media Group maintained La-Z-Boy Furniture Galleries’ presence in newspaper advertising while simultaneously launching a high-impact digital awareness campaign. 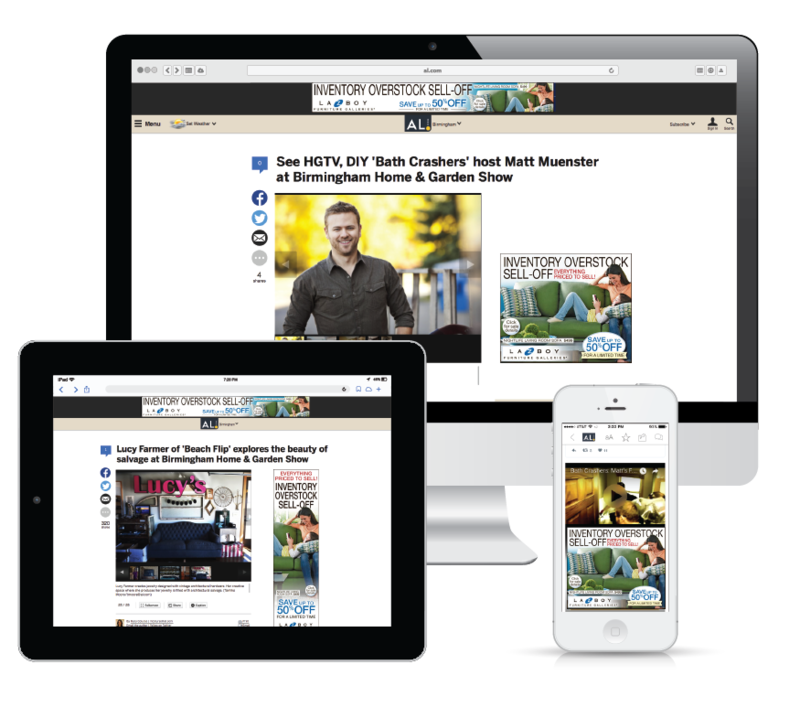 This layered approach continued to reach the print audience, which tends to be 40+, affluent, and college educated, while also extending La-Z-Boy Furniture Galleries’ presence online through Alabama Media Group’s digital audience targeting capabilities. The digital awareness campaign started by sharing La-Z-Boy Furniture Galleries messages with Alabama Media Group’s “furniture intender” audience. Through campaign oversight and optimization, Alabama Media Group discovered that while “furniture intenders” are a valuable, necessary audience for La-Z-Boy Furniture Galleries, there was a large opportunity being missed – future furniture intenders. 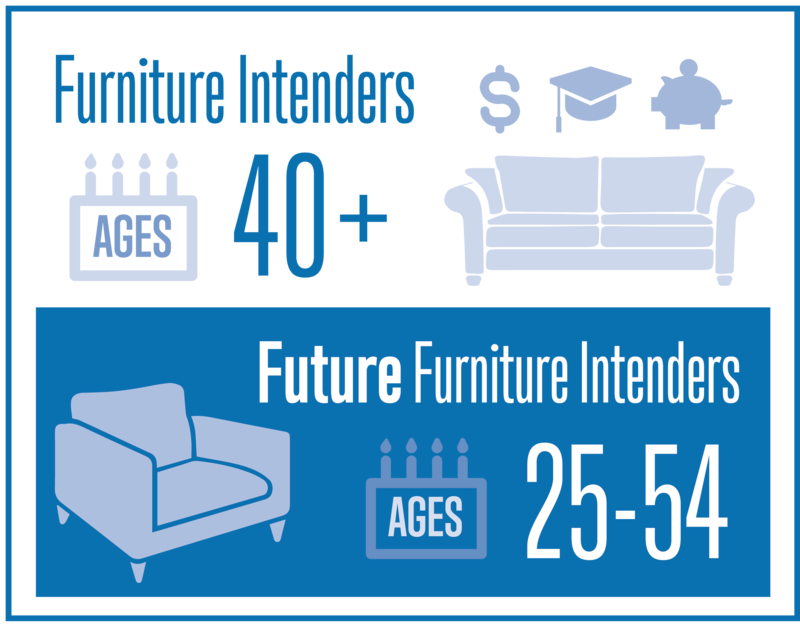 In order to keep La-Z-Boy Furniture Galleries top of mind with those who are not yet furniture intenders, Alabama Media Group added an additional layer of audience targeting, ages 25-54. Adding this audience ensures that La-Z-Boy Furniture Galleries is top of mind and recognized as someone begins to search for furniture. Once someone goes from being a future furniture intender to considering a purchase, they are increasingly turning to their phones and laptops. La-Z-Boy Furniture Galleries must be easy to find and visit for these customers actively searching online. 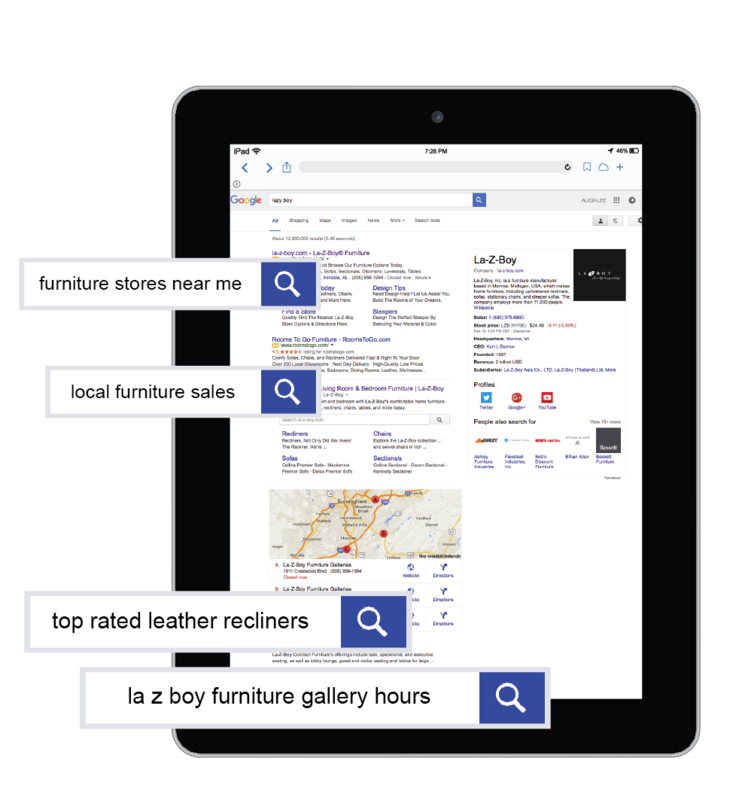 Alabama Media Group launched a search engine marketing campaign across the top search engines: Google, Bing, and Yahoo!, to increase La-Z-Boy Furniture Galleries’ visibility in search results as consumers make furniture purchase decisions. 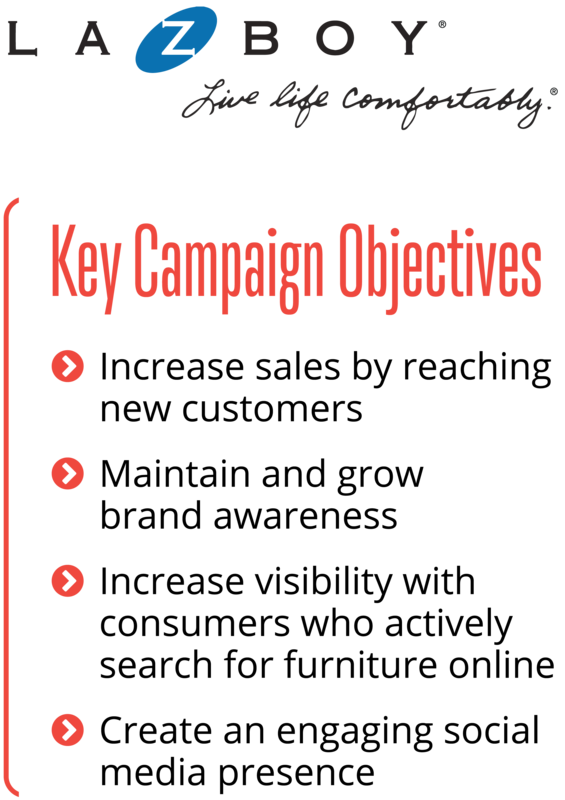 This ongoing optimization process resulted in doubled inbound web traffic through paid search. Since social media channels are a platform where customers share their experiences and show support for brands and services they enjoy, the campaign utilized social to engage with customers and build La-Z-Boy Furniture Galleries’ referral base. 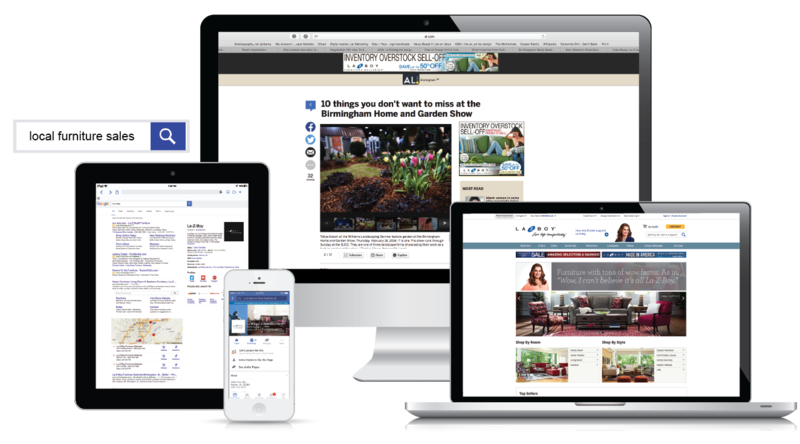 Alabama Media Group created and managed social media accounts on Facebook, Twitter, and Google+ to give La-Z-Boy Furniture Galleries’ customers a space to engage and follow the brand online. With regular postings of photos, videos and brand updates, Alabama Media Group has grown La-Z-Boy Furniture Galleries’ Facebook following to 5,190 Likes as of December 2015. 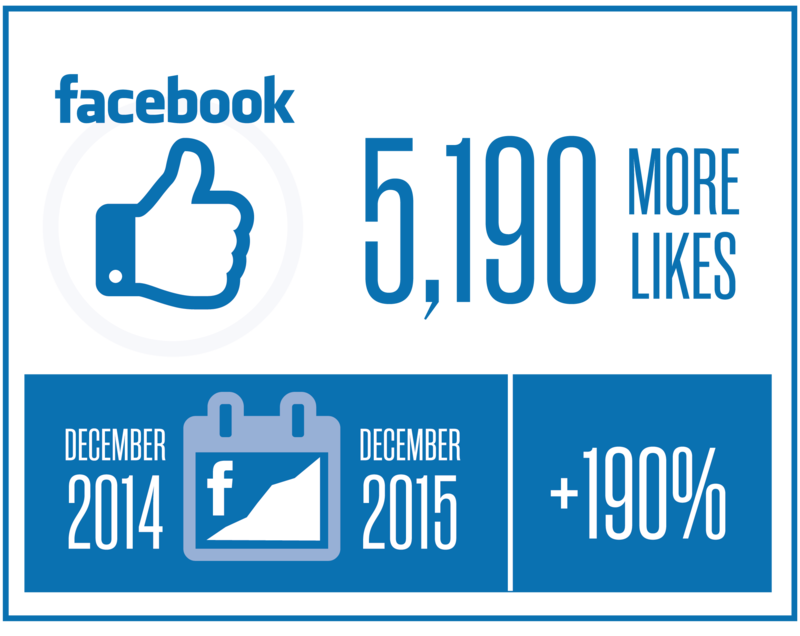 This is a 190% increase from December 2014.